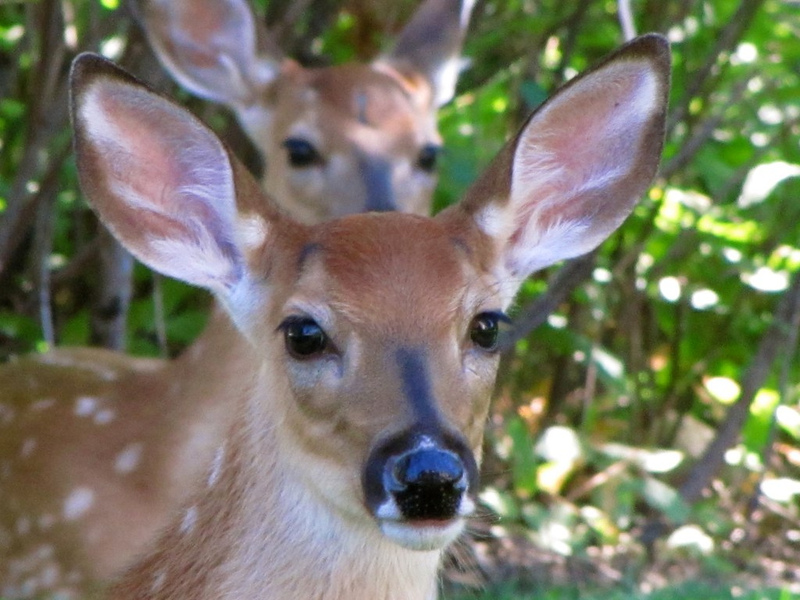 Beautiful white-tailed deer; fawns. Photo by Dave Miller (wildfrogphotography.com)/Flickr (Use Permitted with Attribution/No Derivative Works). White-tailed deer range throughout Georgia - from forests to coastal marshes. 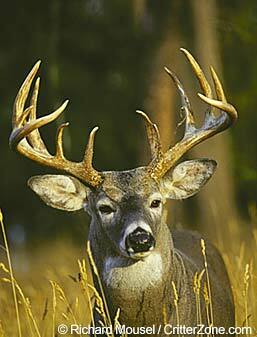 These elegant deer have a reddish brown coat in summer that turns grayish brown in winter. The white underside of the deer's tail is used to flash warnings and waves while deer run. An animal of incredible beauty and power, white-tailed deer are able to run up to 40 miles per hour, jump 9 foot fences, and swim 13 miles per hour. 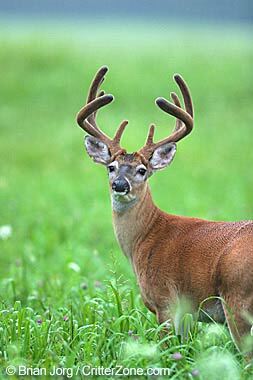 White-tailed deer browse on leaves, buds, twigs, and a wide variety of plants. They also eats acorns, fruits, mushrooms, and agricultural crops like alfalfa, corn, and soybeans. 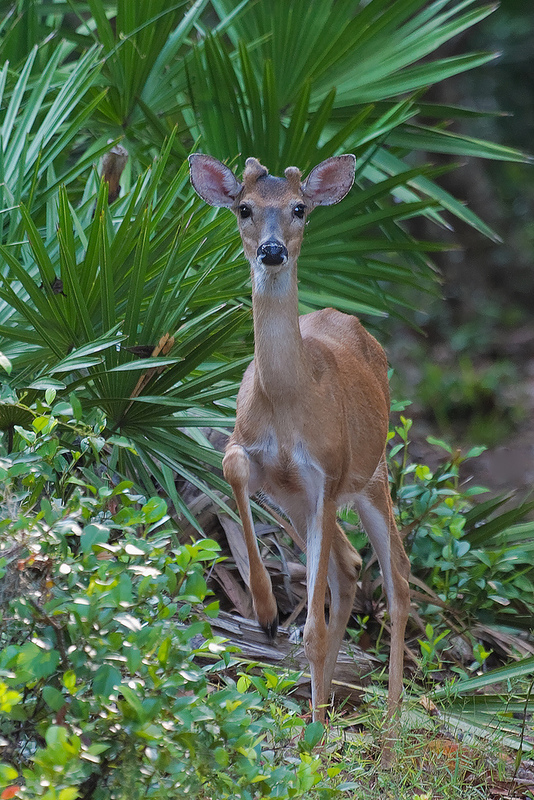 Young white-tailed deer buck (Odocoileus virginianus); at Ocala National Forest, Florida; "He came around a corner and saw me and then began stamping his foot at me." Photo by Matthew Paulson/Flickr (noncommercial use permitted with attribution/no derivative works).